This Annapolis hotel, with convenient access to the U.S. Naval Academy, offers all the right amenities for leisure and business travelers at an unbeatable value. The Best Western Annapolis offers comfortable lodging for travelers coming to beautiful Annapolis, home to the renowned United States Naval Academy. Hotel guests will be minutes from historic downtown Annapolis offering Colonial sights, unique dining, distinct shopping and artistic venues. Washington D.C., Baltimore, Six Flags Amusement Park and Chesapeake Bay are all just a short drive away from the hotel. 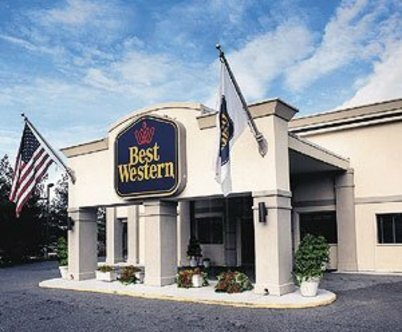 In addition to being conveniently located near Maryland, Virginia and D.C. area attractions, the Best Western Annapolis provides a well-equipped exercise facility, an on-site outdoor pool and complimentary coffee available in the lobby 24-hours a day. A complimentary breakfast buffet is offered daily. The warm and friendly staff of the Best Western Annapolis strives to make every guest's stay as comfortable as possible Each room is equipped with free high-speed Internet, a coffee/tea maker, hairdryer, cable television, as well as an iron and ironing board. Make an online reservation today at the Best Western Annapolis offering guests the right location with great amenities at a great rate.